We met Rafael and Elvi Sanchez through their daughter, long term Kashi resident, Shanti Mayee. Rafael was a Presbyterian minister and became pastor of the Sebastian Church when they moved here from Kansas. 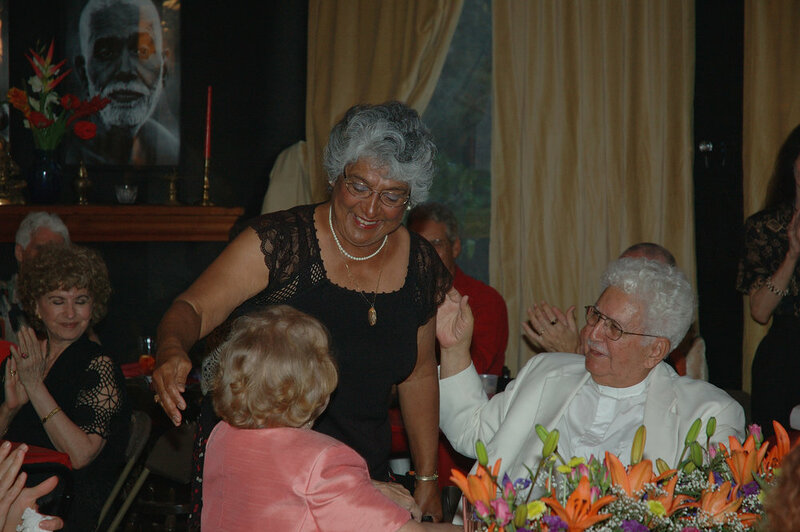 Ma loved them both and at Easter, Thanksgiving and Christmas bandharas she would have Rafael say the grace in his sonorous Puerto Rican accented voice. Ma called Rafael 'her bishop' (even though he wasn't a bishop! ).